The last time Nintendo teamed up with Koei Tecmo’s Dynasty Warriors series, the results were largely one-sided. While Hyrule Warriors carried all the aesthetics of a Zelda game, the gameplay was simply Warriors hack-and-slash with no Zelda flair. I am elated to report that Fire Emblem Warriors did not make the same mistake. 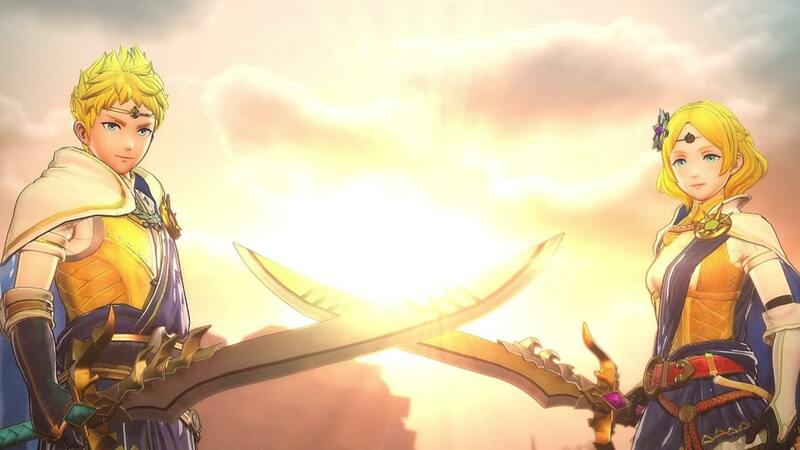 Somehow the long-running Nintendo RPG franchise makes a near-perfect leap into the gratuitous, button-mashing frenzy that is Dynasty Warriors, all without compromising its own identity. Fire Emblem Warriors seamlessly introduces key tactical elements from the Fire Emblem series into the hectic mayhem at the core of Warriors gameplay without breaking stride. In the game, players encounter and control familiar fighters from across the Fire Emblem series, along with two original characters. Much like Warriors games of the past, these fighters slice their way through countless hordes of enemies to control various command points across an open map. Players progress through a story-driven campaign as well as a more strategy-focused History Mode. 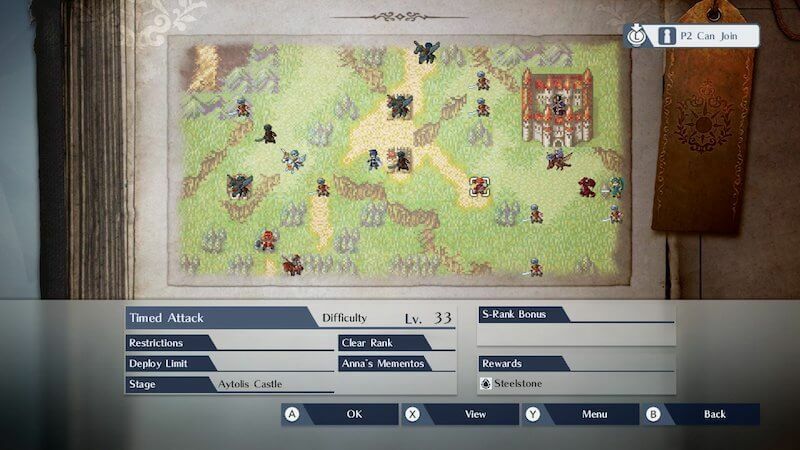 In addition to the usual Warriors combat style, players can give tactical orders to their band of fighters on the map screen. I might control one warrior to push the attack, command another to follow me, and leave two more behind to defend the base. This gameplay component feels like classic Fire Emblem strategy without bogging the player down in long chess matches. The playable cast is overflowing with fan-favorite characters, most of which hail from Fire Emblem Awakening and Fire Emblem Fates. As the two most recent original installments, it makes sense that Nintendo would feature them the most heavily. More on the roster later. The fighters wield a variety of weapon types, and that is where another gameplay addition comes in. 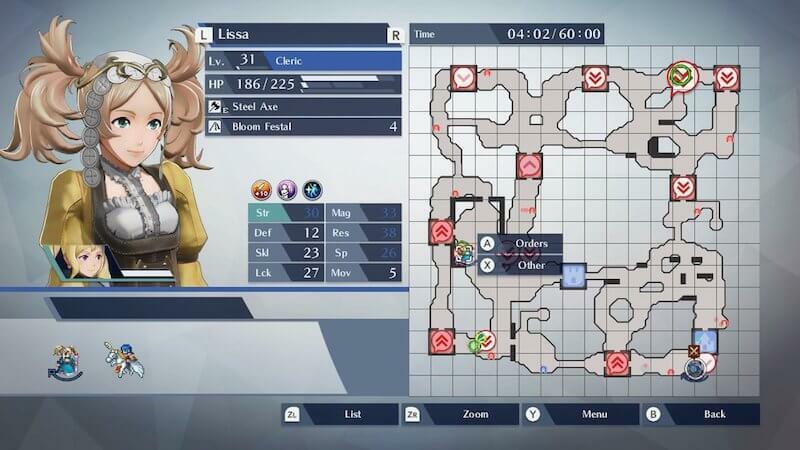 Fire Emblem Warriors features the traditional “weapon triangle” combat mechanic from the Nintendo series, which certain weapon types are strong against other types in a “rock, paper, scissors” series of tradeoffs denoted by upward or downward arrows on the map. A miniboss that would be a cakewalk with a positive or neutral weapon matchup may prove dangerous and time-consuming when at a disadvantage. The weapon triangle was implemented extremely well. The player-character can overcome a weapon disadvantage with a little extra effort, but a friendly unit left to his own devices for too long can easily die in a losing matchup. This mechanic encourages the player to be aware of the bigger picture, but there are still plenty of opportunities to simply power through obstacles yourself. Other Fire Emblem elements like bond conversations and the “Pair Up” mechanic introduced in Awakening are also executed well. 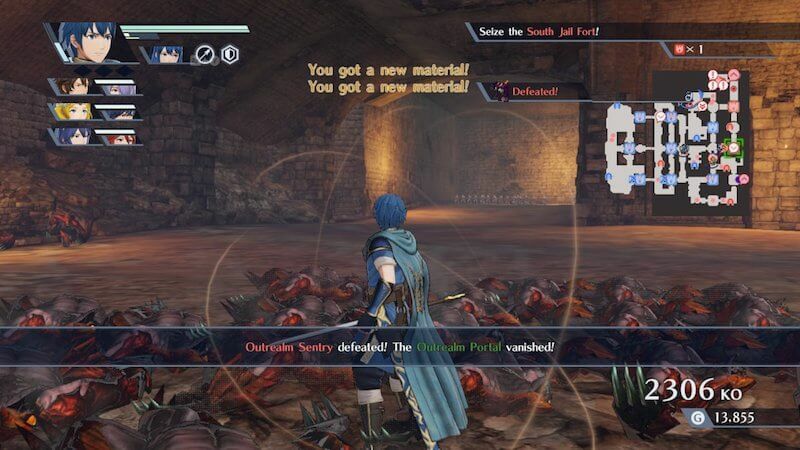 When added to the existing over-the-top combat style of Warriors games past, Fire Emblem Warriors presents a satisfying level of risk and reward. In Hyrule Warriors, for example, facing defeat is extremely rare, and this low danger level makes victory feel like a given. In Fire Emblem Warriors, a player might finally achieve that perfect win after adjusting strategies from his last two failed attempts. This game comes nowhere near the tactical challenge of core Fire Emblem games, and that’s a good thing. Instead, it presents just enough resistance to couple the natural Warriors fun with a feeling of growth within the player. 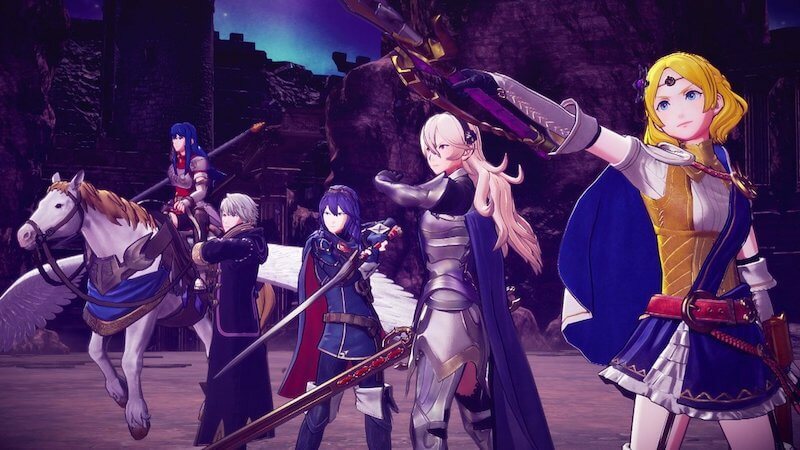 In addition to familiar gameplay elements, Fire Emblem fans will enjoy playing as many of their favorite characters in a way they never could before. Each character can be customized with different weapons, skills, power-ups, and even costumes. Each different fighting style is a unique combat experience while still utilizing the same basic combo system. Sword-wielders, archers, horsemen, and even pegasus riders serve their own purpose on the battlefield. Pairing up Cordelia from Awakening with Marth from Shadow Dragon is a one-of-a-kind experience for fans and yields great combat results as well. The story of Fire Emblem Warriors is where things go downhill. The campaign is essentially a parasite. It recycles situations, events, and even exact scenes from the core games to build about half of its barebones plot. The rest is a watered-down version of standard Fire Emblem fare: a pair of young royals embroiled in a conflict with some mystical dragon. The plot is so streamlined that you barely notice its existence. The writing relies on players’ previous familiarity with the characters to form any sort of attachment to the storyline. In a way, this lack of meaningful story is not a bad thing. Players are quickly funneled back into the action, unburdened by complex story concerns. Still, Fire Emblem fans could feel disappointed that this opportunity for these characters crossing paths in a meaningful way is largely wasted. There is one ray of hope on that front: micro-interactions. While the main storyline is pathetically empty, little scraps of conversation during and after combat can help to satisfy a fan’s desire for interaction. Warriors who are paired together will shout specific encouragements to each other when they execute team combos. The biggest example comes in the bond conversations that unlock when two compatible characters battle together often enough. Each character comes with a good number of these conversation possibilities, and while some are with fighters from their own game, many are crossover conversations that are sure to interest series fans. Watching Chrom and Lucina geek out about their idol Marth puts a smile on my face every time. After the campaign, Fire Emblem Warriors keeps you coming back in several ways. History Mode is probably my favorite part of the game. Presenting several maps and situations from the core games of the past, History Mode puts the player through several different game scenarios on the way to completing a mini-campaign that is molded by the player’s decisions. Each scenario comes with a grading system based on different criteria such as time, kills, and damage taken. 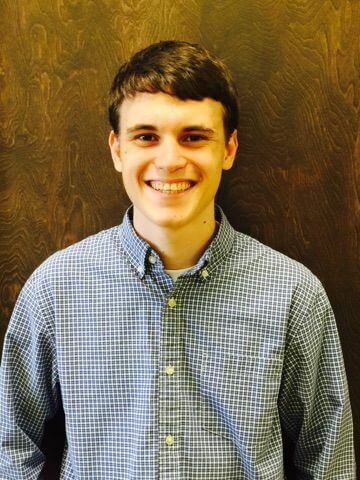 Getting the highest grade yields valuable rewards to help make characters stronger. History Mode is also the key to unlocking bonus characters Lyn from Fire Emblem Blazing Blade and Celica from Fire Emblem Gaiden and its 2017 remake. With History Mode, four difficulty levels, and a good smattering of extras to unlock, Fire Emblem Warriors is a game that demands to be played well past its roughly 20-hour initial runtime. Still, the story is not the only shortcoming. The character roster, while large, is massively skewed toward recent games, while fan favorites from previous generations of Fire Emblem are left in the dust. The lineup also carries several characters who are carbon copies of one another on the battlefield. 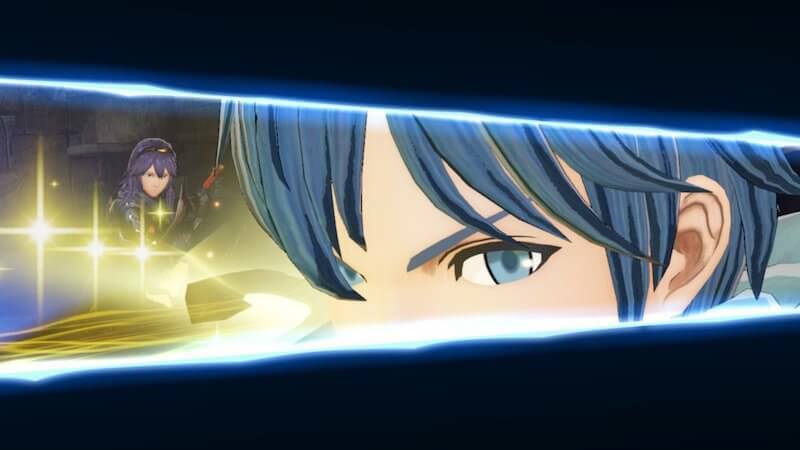 Poor Lucina, for example, goes from being a reskin of Marth in the latest Smash Bros. game to being a replica of Chrom in Warriors. This repetition of character gameplay limits a player’s drive to explore every fighter option available. Repetitiveness is also a problem with the combat itself, especially the longer you play. Despite all the new tactical mechanics, hitting the same two buttons to endlessly kill enemies with combos can only be a fresh experience for so long. Fire Emblem Warriors staves off this reality better than its predecessors, but it is still unavoidable in the end. It’s a great example of that type of game that achieves all of its goals perfectly but still isn’t perfect. The Dynasty Warriors formula is simply not built for longevity of interest. There are other small complaints that could be made, such as tiny message boxes and bad English voice acting (get the freely downloadable Japanese voice pack). None of these small issues truly take away from the experience of this great game, though. Verdict: Fire Emblem Warriors expertly melds the wild fun of Dynasty Warriors combat with the thoughtfulness of Fire Emblem tactics. While the story is lacking, the interactions between characters from different games largely make up for it. History Mode and other extra content help to keep this game powered up long past the story’s resolution. Fire Emblem Warriors is a hack-and-slash action RPG video game developed by Omega Force and Team Ninja, and published by Nintendo for the Nintendo Switch and Nintendo 3DS, which released in 2017. The game is a collaboration between Koei Tecmo's Dynasty Warriors franchise and Intelligent Systems' Fire Emblem series.